Handwriting is here to stay - right? I’m a generation x baby so I completed my schoolwork by hand while choosing computer studies in 6th and 7th form years. When I went to university in the mid 80’s, I completed my studies by hand, but increasingly saw the acceptance of handing in some typed text. Fast forward to now and I think it would be a rarity for someone to hand in a handwritten assignment in at the university level. Most of us need a flexible way of writing—fast, almost a scribble for ourselves to read, and progressively slower and more legible for other purposes (How the ballpoint pen killed cursive). I show no-one my handwriting unless I need to, it’s basically illegible. Don’t get me wrong, I think there’s a place for handwriting. Filling in postage bags, forms, greeting cards. Most other forms of communication have now superseded the need to write screeds/pages. I speak my shopping list into my phone. Not saying it's all about continued education, but I'm not sure how you’d get through your masters now if you were tied to the handwriting task. 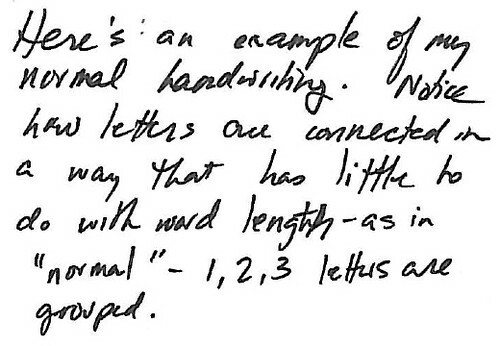 For some educators (and parents), this is concerning, what’s happening to our handwriting? Of course these concerns are not new... when paper replaced tablets/bamboo, there were suspicions about it’s functionality, and when the ballpoint pen replaced the fountain/quill pen it was criticised for the demise of cursive handwriting. Is there research to show that the physical act of handwriting helps the brain to process literacy concepts (writing composition) and metacognition better? Do students who submit formal assessment tasks with better handwriting actually get better grades? Does a focus on fine-motor skills and letter formation help those students struggling with writing? With the vast improvement of voice activated tools (I’ve used Voice Typing in Google docs to 'write' this) and the advancement of portable/wearable technologies, what will human connections and communication look like 120 years from now? How much of this will involve handwriting? i'm a typist myself, and have been since the tech became available. i hate having to write by hand, but can do it very well. people often compliment my handwriting, which is nothing special. having said that, i think *fine motor skills* are important. children are losing these important developmental skills. this is apparent when they get to high school, where they still have to use pen and paper. many of us are not remotely resourced to do word processing, never mind having voice/text programmes or anything else for that matter. so i wouldn't say handwritten work is a "rarity." we trialled online exams last year, and after the connection went down for the final time 15 minutes in, our kids had to handwrite their exams, just like the other 300 boys at school were. if the reader can't read their writing, what mark will they get? NA. anecdotally, we just moderated Level 1 creative writing, and the handwritten ones had the least amount of errors! Actually, Tessa, I have been asking another question lately. Is text going to disappear completely? With the advent of multimedia ways of communicating and the sharp rise of video (predicted to rise to 82% of internet communications by 2020), I have been provoking discussion about this very concept. Text, after all, has only been commonplace since the printing press arrived. Hmmm, is that taking the whole concept too far? Hi Leigh, good to hear from you. Your comment has prompted me to think about the uprising of infographics too - where symbols and concise amounts of text and data can convey a lot of information in one viewing - like this latest one from NZCER reporting on the research on digital technologies in NZ schools. If the volume is decreasing and multimedia formats increasing, then you're right to ask, is it going to disappear altogether? If we're voice typing more, using video to connect with each other and capture stories, then I'm not sure how far is too far... and I wonder how we'll communicate with each other 120 years in the future. Will we 'bump' each other and share 'data' like we have with our phones already? Will we be wearing digital communicators/receptors in our clothing, our eye wear or even in our bodies processing information as we walk, work, play? 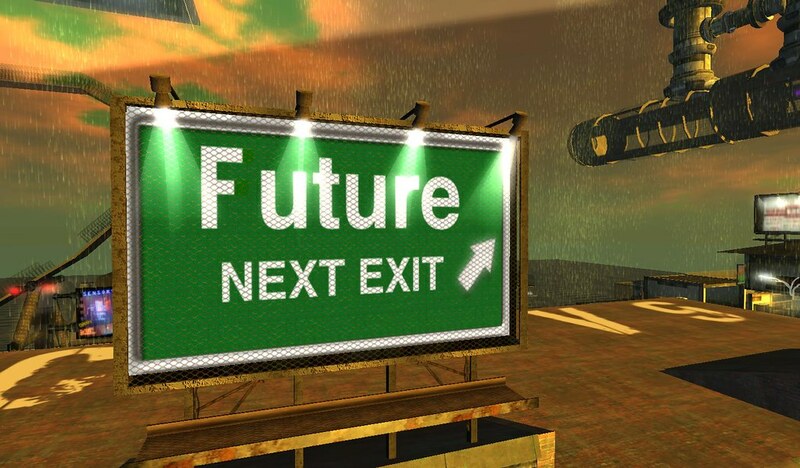 Will we have built-in translators, where language is no barrier or will we have invented a whole-new global language? Wow thank you Kelly, you've just shone a light on a whole perspective about the necessity for fine motor skills fullstop. Something I hadn't thought through until now - as I envision future humans with big heads and little arms/hands like Tyrannosaurus Rex! Thanks for sharing the reality about online connections during digital exams, I do know NZQA is keen to move NZ schools in this direction. From listening to Steve Bargh share, that may not necessarily mean everyone is doing the same assessment tasks at the same time from the same destination. I'd have to concede, when you can't access the tools, the good ole fashion way will provide the necessary backup - that's if your writing is legible to others. Your story Kelly, just highlights how much we're all in a transitional phase - caught in the middle of both education and technological developments. Finding a balance is a challenge don't you think? Oh and I forgot to mention, emoticon keypads. This is a great post! I've so struggled with handwriting as I feel it is still an important part of learning .... I do believe the ability to write with accurately at speed is important. I also believe it is important for learning. A quick google search of 'handwriting and the brain' brings up a wealth of very recent articles linking handwriting to (for want of a better term) 'exercise for the brain'. A big trend throughout the past years I've been teaching shows the majority of children with 'neat' handwriting are generally also high achievers. (Thats not to say ALL of the neat handwriters I can recall). I did a lot of research into to how to specifically target and help those still struggling, and found a webinar by an American Occupational Therapist called Kim Wiggins. It came with a massive file breaking down the teaching of handwriting, and lots of support for those struggling. This is an interesting topic for me, and I have changed my opinion several times over my teaching career. Right now, I still believe that handwriting is important. If you have a fluent, legible style of handwriting you'll not only likely find many every-day tasks that bit easier, but you'll also find that technology will recognise your writing more readily :) However, I'm also very aware that for some learners, being 'made' to persist at handwriting when you find it physically challenging only seems to put them off the task even more. Even worse, it puts them off written language as a whole (reading AND writing). By the time a student gets to Year 4 or 5 (9-10 years old) they've already had several YEARS of trying to learn to write fluently. Isn't it about time they were given alternative tools to help them achieve at written language? Surely this doesn't have to be an either/or situation? They can learn written language skills with electronic media while still having opportunities to write by hand (perhaps in lower stakes activities, where the whole outcome doesn't rely on the handwriting). I'm also very aware that fine-motor skills can be developed in a myriad of ways that don't involve putting pen to paper (which may help students who find writing a negative experience to still improve their fine-motor skills). I think you also have to consider what these students are missing out on when they're doing extra practice to improve their handwriting. If neat writers aren't spending time practicing their handwriting, what are they doing? When will the messy hand-writers get to do this? How often are these students already 'missing out' on other activities because of remedial work? Personally, I had crappy handwriting all through primary and high school - legible, but I was often asked to 're-do' things because they weren't considered neat enough! BTW, the only thing this achieved was me hating either the teacher, the topic or both. When I trained to be a teacher, I suddenly had a real purpose to trying to improve my handwriting - it needed to be good enough for emergent learners to not only read, but also copy! My writing now is pretty neat. Tessa, you asked about research relating to this. I know there is some stuff showing a difference between retaining hard-copy information as opposed to digital information (i.e. reading something on paper seemed more effective from memory), but I'm not sure about handwriting. I seem to recall a study suggesting that students who took notes by hand retained information better than students who used a keyboard - but that's not really about being legible (except to yourself). I'd be interested to see if there was research with students who struggle to write by hand and whether the advantages of being able to use a keyboard outweighed any possible benefit gained by the physical act. My final thoughts: if a student was struggling with some other physical or processing barrier, how long would we expect them to persist without intervention? For example, a student with poor eyesight - would we expect her to keep 'practicing' reading for several years before giving her glasses? isn't it wonderful - and fun - how this discussion has developed way beyond the "every kid should write/no one writes anymore!" argument we see in more public forums, like fb. the use of infographics/emoticons has long befuddled me. perhaps as a writer, i prefer words to pictures? is it conditioning? are kids not reading nearly as much as we did? i much prefer a pull down menu that's single words vs pictures. whenever i have need to move to a mac device i really struggle to figure out what is where! the transition is hard for me, which is frustrating. Loving this rich debate too thank you all. Thanks for making the distinction between none or all learners Kelly. Your story highlights your love for text and it may well highlight someone else's love for images (the right ones of course). Maree you've also highlighted the need to think about students as individuals, not as a whole. The points about extending those who have already mastered handwriting, is an important one, and of course, if things aren't working for an individual (or group), what are we doing differently to support them? Frameworks like Universal Design for Learning help teachers design learning opportunities -inclusive for all learners. I know teachers do this everyday. What I'd like to see, is more examples of this, to inspire the rest of us. ie: How do you support the reluctant writer, who won't put pencil to paper? What other tools are being used to to help overcome or minimise the barriers - to motivate, engage, develop writing capacity? Research suggests: When students are able to automatically use handwriting to record thoughts, they free up other cognitive abilities allowing them to produce more complex compositions (Berninger, 2006). In other study, Attention students put your laptop away, they (don't know who they is) talk about the different outcomes for students, who have taken notes by hand and those who used the laptop - for recall. The argument was, because of the need for speed, more concise notes were taken by hand, as opposed to lots of notes being taken verbatim on the laptop. Hence, the ability to process, summarise, paraphrase, concept map is easier using handwriting. Maree, was this type of research you were thinking about? Kids have passed around notes and chatted to each other when they were distracted for years - you should have seen my doodles on paper, when I was bored. Same/different? And more importantly, why was the lecture dull in the first place? Last year, there was another listserv discussion on the same topic. Teachers talked about using handwriting during ‘think tank’ phases of learning for; planning, note taking, working things out, thought processing - some of which involved scribbling, mind mapping etc. Here there was a dedicated focus on using handwriting that was fit for purpose and served student learning needs. Neuroscience tells us our brains are flexible and always changing - to the greatest amount and type of stimulus. If our students are frequently accessing/processing digital tools, then naturally the brain is going to learn those new pathways and even strengthen them. So, does it come down to need, balance, purpose, audience, intention? Yes, I think that might have even be the article I read, Tessa! I managed to find the study referred to here: https://sites.udel.edu/victorp/files/2010/11/Psychological-Science-2014-Mueller-0956797614524581-1u0h0yu.pdf and it refers to a lot of other studies relating to computer usage in general. MRI scans found that the kids who had written letters were able to perceive the letters better, helping them to read at better rates compared to the typers and tracers. Which I think just reiterates the idea of developing a tool-box of writing methods so that students can use whichever tool fits best for the purpose and their preferences. P.S. Thanks, Lynne for being 'brave' and contributing to the discussion! You are so right that 'old tools' can be the right tool for some activities. I have been lurking around the VLN for at least 2 years and today I think I'll be brave and add my thoughts. Having taught for 20+ years in Primary and a small time at Secondary level - the topic of teaching handwriting has come and gone with different levels of ferocity depending on people's class levels and position of responsibility. I am a teaching principal, and now I find that my decisions affect more than just my class! At present we still teach handwriting across the school, although it is somewhat intermittently in the senior class (yr 4-6) and regularly in the junior school. I have noticed over my career, that the skill of handwriting, in the main, is a great indicator of a child's attention to detail. If students can notice, copy, write or transfer correctly, it helps them with reading and writing, and although technological tools can do lots for us, they should never take away our own ability to think for ourselves. Power over the written or spoken word should always be ours, and we need that attention to detail to help with writing and understanding the written words of others. I sometimes wonder that even though we often do have access to all things technological, should we run to them as a matter of course? Sometimes the "old tools" can actually do what we need them to. Isn't it great , though, that there are so many tools for all the different needs that our learners have, and this thread is testament to all the different opportunities and new ideas that are out there. Thanks for sharing! Kia ora Lynne and haere mai, great to see you've been moved to contribute. Having many voices in this community helps us to clarify our beliefs, and often stretch our thinking and practice. I'm definitely having my thinking stretched here so thanks again. I love how you've written, "Power over the written or spoken word should always be ours" and I agree any tools shouldn't take away our ability to think - hence the need to teach and use open-ended digital tools that help promote critical thinking, creativity, problem solving etc. Shiny tools don't make for rich learning, they just cost more! I was flicking through VLN looking for a specific topic when I stumbled upon this thread and read it out of interest. I too took handwriting out of my programme pretty much for the very well written reasons you've explained. The first being that after a certain age, children have developed habits such as ways of gripping pens that are very difficult to break and perhaps not worth it. It is true too, that there are other ways of developing fine motor skills - visual art being one of them! However, the most important reason for stopping was 'what are the children missing out on while they are doing handwriting?' I never forget having Janelle Riki deliver some pd around 21c skills. She said to always ask yourself as a teacher: "Is this the best possible use of my students' learning time?" This resonated with me and when I held the question up against handwriting, the answer for me was no. A very interesting discussion. I'm glad I came across it.